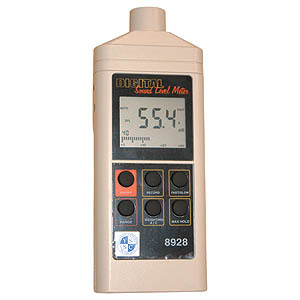 A superbly designed easy to use sound level meter with features normally only found on more expensive instruments. Extra large clear high contrast display. Autoranging or Manual range selection. Max hold function to display the highest recorded value. Auto power off preserves battery life. A & C frequency weighting. 3½ digit display 0.1dB resolution updated every 0.5 seconds.